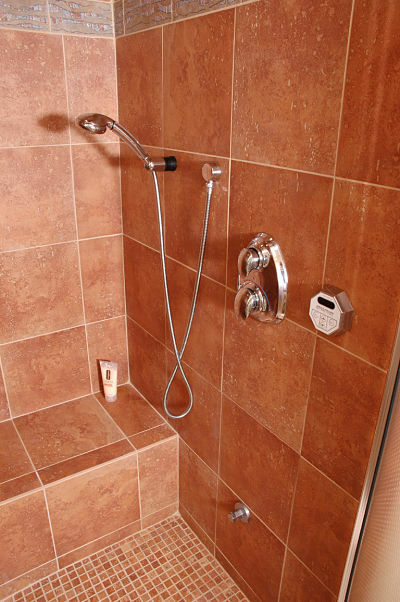 Along with level thresholds, curbless showers eliminate tripping hazards and will accommodate users with impaired mobility. Seventy percent of NKBA designers expect to be doing more bathrooms with curbless showers this year. 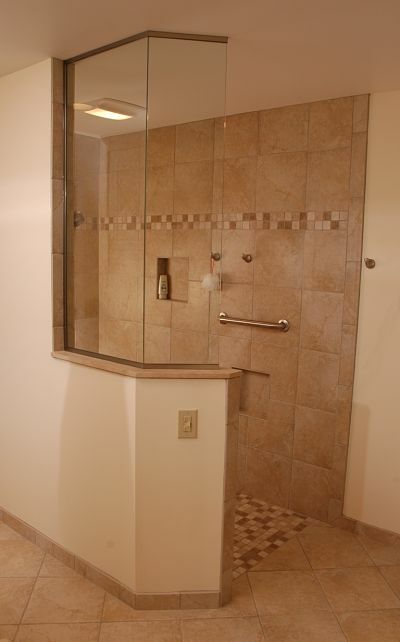 Walk-in showers without doors are accessible and much easier to maintain. They continue to grow in popularity. When grab bars were first used in baths they were often unsightly but were an important safety feature. Today, manufacturers offer a range of attractive designs that blend with cabinet hardware and towel fixtures. Wide entryways add a feeling of spaciousness to a home. An entryway of at least 36 inches in width is recommended along with open floor space if someone in the home uses a wheelchair. There should be at least 5 feet of open floor space for a turning radius. Level thresholds help to reduce home accidents due to tripping and falls. Level thresholds throughout a home facilitate transitions between rooms and improve the overall traffic pattern. Handheld showerheads are great for bathing young children but also make a shower more efficient because less water is used and it can be directed to remove soap and shampoo. Whether a primary shower mounted on an adjustable rod, or a secondary showerhead mounted on a wall, handheld showers are well worth the investment. More homeowners are also installing thermostats in their showers to steadily control the temperature of water. Seventy percent of NKBA designers noted that they will be adding more shower benches to bathrooms. In any bathroom slip-resistant flooring is essential. 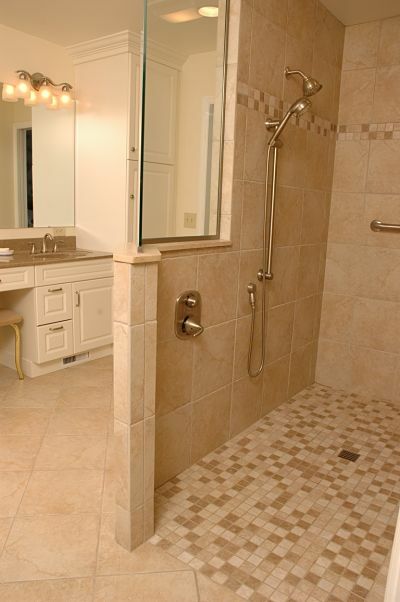 Using small mosaic tile on a shower stall provides more traction when the floor is wet. Look for tile that is certified as “slip-resistant”, there are many ceramic tiles that meet this standard. 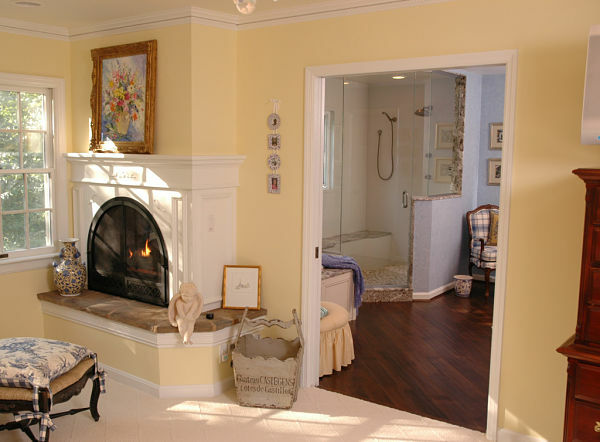 Ceramic tile can be cold underfoot, so you may want to consider adding radiant floor heating. 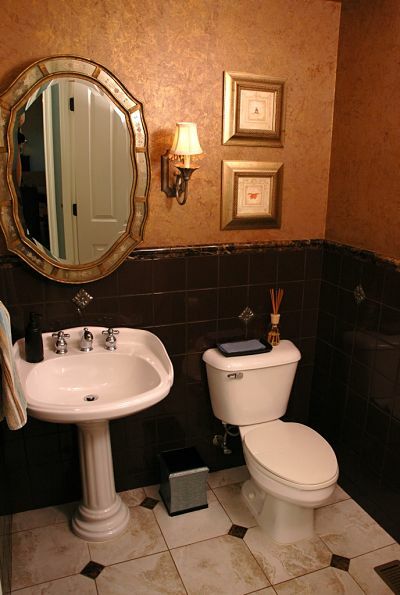 Bathrooms are often small spaces. The average size of a bathroom is 5-by-8 feet. 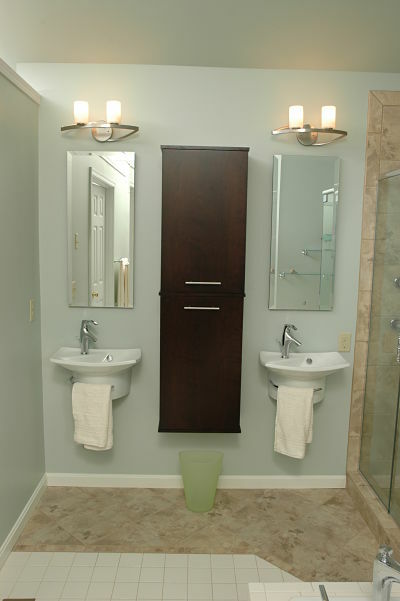 Wall mount sinks use less space than sinks mounted on a vanity and create more open floor space within the room. 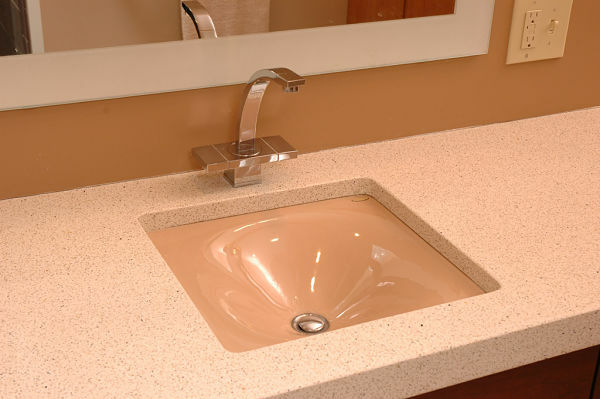 Wall mount sinks are more easily accessible if a person in the home uses a walker or wheel chair and the height can be adjusted according to the needs of the user. Lever handle faucets in sinks and showers are much easier to use than knobs, particularly when your hands are wet. Again, if a person has trouble with their grip or has joint pain in their hands, a lever can be easily pushed on and off to control the flow of water. If there is a consensus about bath design trends, this product is it. Eighty-four percent of designers surveyed reported that they will use comfort height toilets in their projects and two-thirds noted that they expect the demand will increase. Sensor activated faucets have two advantages that appeal to homeowners, first they help to conserve water when you are washing hands or brushing your teeth and second, they are easy to use especially if a person experiences arthritis.